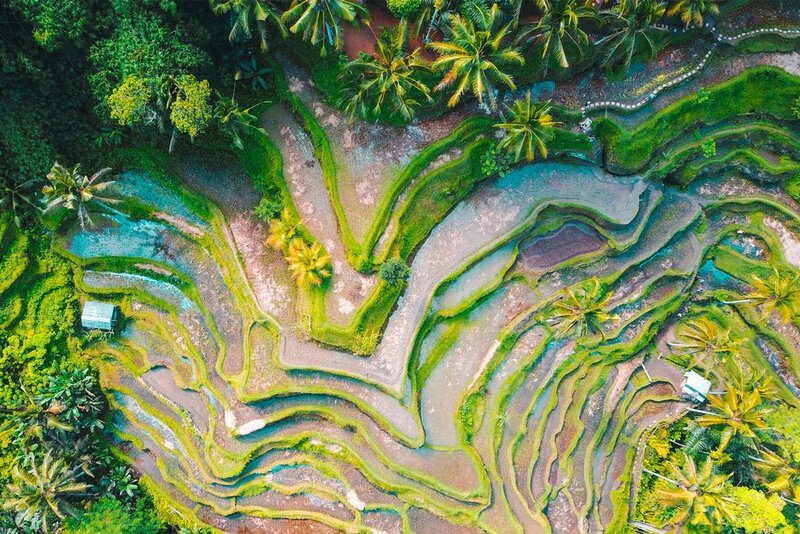 LIBERATE & FLY ON THIS 6 DAY ADVENTURE ON THE MAGICAL ISLAND OF BALI! 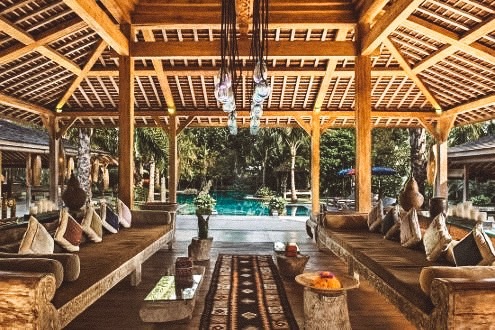 Are you ready to take your spiritual practice deeper with the ancient and magical teachings of yoga in blissful Bali? 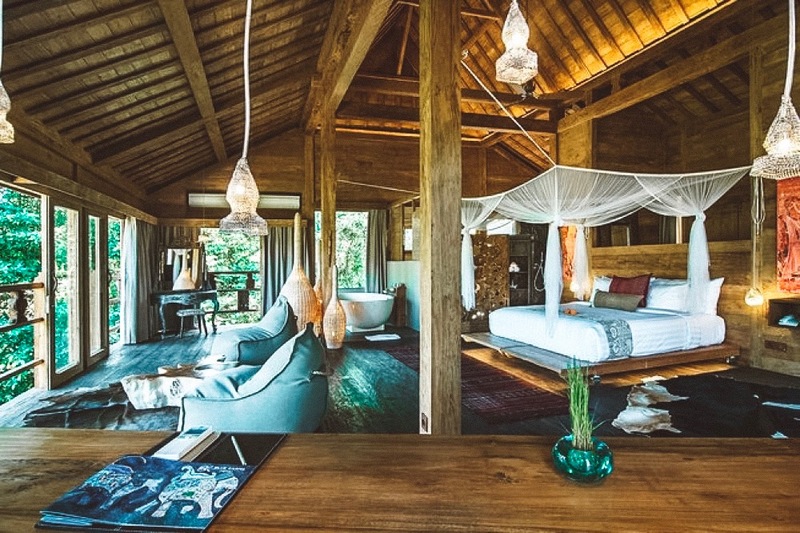 Join Emma and Anna for a unique retreat experience nestled in the hilltop jungles near Ubud, Bali. 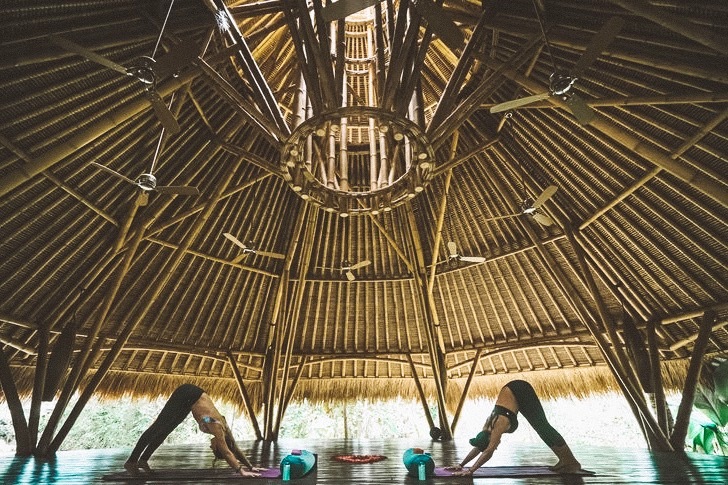 This retreat will be filled with the beautiful practices of Jivamukti and Acro Yoga, that will have you feeling liberated and open! We will explore yogic philosophy and the practice of Jivamukti Yoga fueled by sacred, ancient teachings. You’ll learn how to incorporate these teachings into your modern lifestyle by exploring yogic Sanskrit texts and understanding their relevance in the world today. This will be accompanied by a fun, strong, alignment-based asana where we’ll explore the human skeletal and muscular systems, as well as the magic of the energetic body and the subtle anatomy of the chakra system. We’ll also delve into the interactive practice of Acro Yoga, where the wisdom of Yoga, the dynamic power of acrobatics and the loving kindness of healing arts are blended into one. These three lineages form the foundation of a practice that cultivates trust & playfulness; enabling the participants to explore the body and it’s unlimited potential. Hike Mt. Batur and Hang with Monkeys! $500 deposit to reserve your spot! Space is limited to keep it to an intimate group. Emma Henry was introduced to yoga in the mid 90s. Her background in dance and martial arts is evident in her dynamic, innovative and playful choreography and understanding of anatomy and the subtle body. 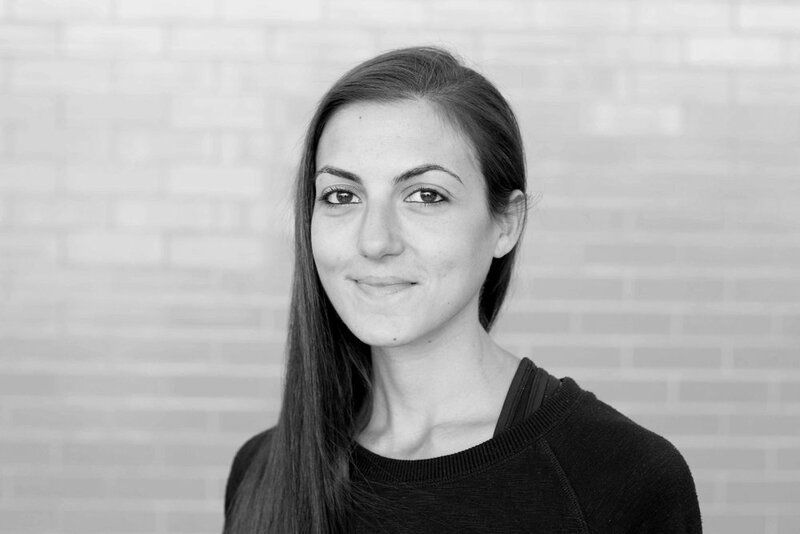 Emma’s yogic path has led her to Mysore from practicing Astanga with Sri K Pattabhi Jois and to advanced certification in the Jivamukti method with Sharon Gannon and David Life. Her continuing education is shared with all of her students through her love of yogic texts and her amazing chanting. All of her classes include an inspiring sound track and a lot of laughter. Her goal is to create a space for practitioners to feel inspired, nurtured and uplifted. 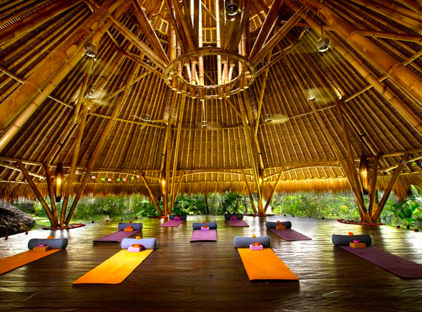 She has hosted yoga workshops and retreats around the world with many happy yogis returning for more year after year. Emma teaches the Jivamukti Teacher Training Programs worldwide. Anna is a leading AcroYoga teacher in the UK and has been teaching for over a decade. She has international teaching and training experience and has been featured in leading publications from Vogue to The Guardian. Anna has been teaching in London’s best yoga studios (Bodyism, Triyoga, Indaba) and is a proud lululemon athletica legacy ambassador. Her classes are challenging and reflect her passion for backbends, arm balances and inversions but can also have a therapeutic focus. Anna has been practicing with Emma for the last 15 years and will be leading the AcroYoga classes on this retreat. 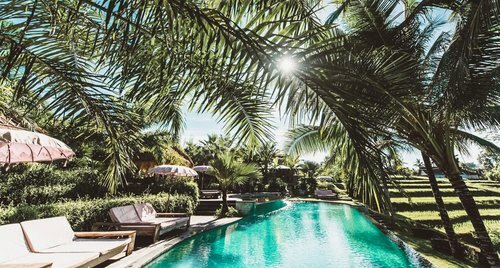 In the middle of this verdant haven of peace, built with respect of the environment, surrounded by fruit trees and deliciously perfumed plants, is a a 25m infinity pool, "Karma Yoga" pavillion, and qazebos with thatched roofs to rest and relax. Attention is put on all areas of health and wellness including quality local, farm to table food! You will fly in and out of Denpasar International Airport (aka Ngurah Rai International Airport) which is the main airport in Bali. 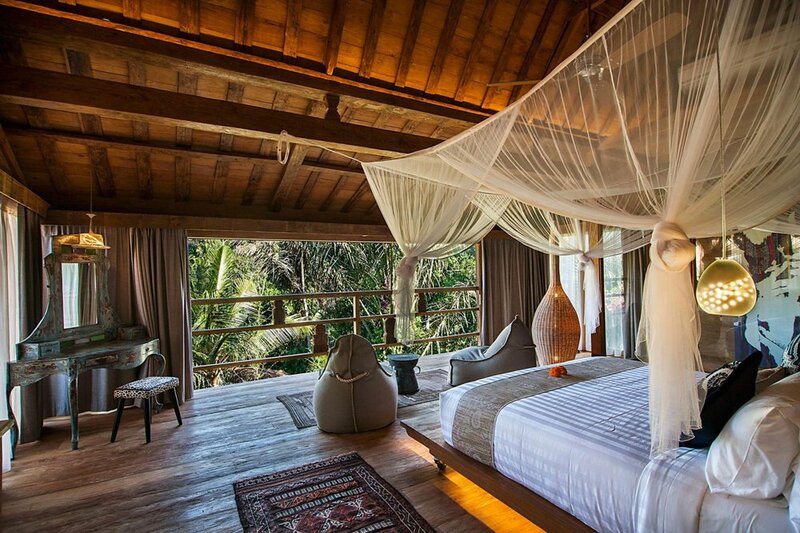 We recommend to arrive on November 3rd by midday or arrive a day early to get settled in. Although airport transportation is not included we will help you arrange transportation to and from the retreat center. Check in at Blue Karma will begin at 2pm on November 3rd, and check out is at 12pm on November 8th. 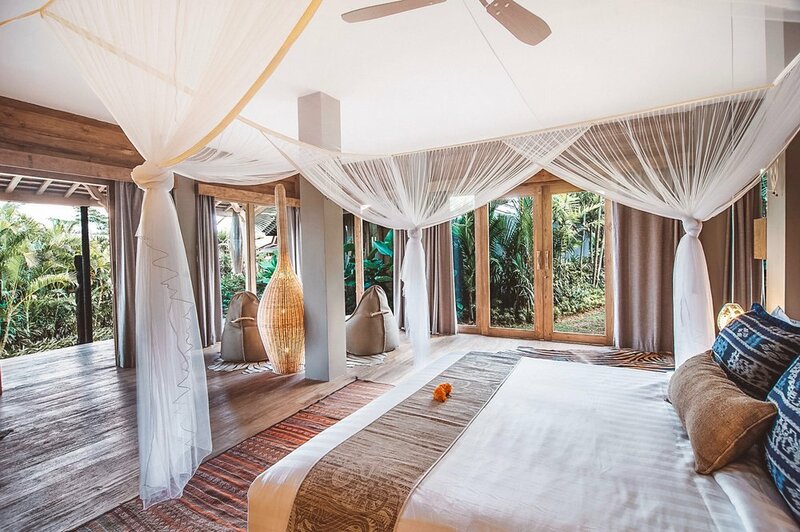 If you need help researching the best flights or if you want us to book them for you, just let us know at info@revampretreats.com! Check in is at 2pm on November 3rd, and we will start in the late afternoon/early evening once everyone is settled in. During each full day we will have a morning and evening sessions of Jivamukti and Acro Yoga classes with different focuses and themes. 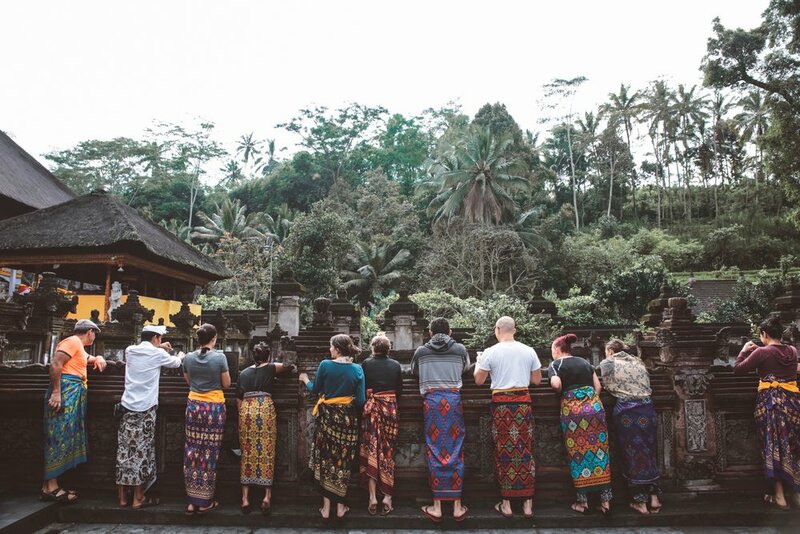 The middle of the day will be for excursions like the Holy Water Temple, trips to Ubud, volunteering with BAWA (Bali Animal Welfare Association), and time to relax and soak in the magic of Bali. The schedule will have a wide variety of offerings throughout the week, and everything is fully optional. We encourage you to do what feels best, and also to show up fully ready to immerse yourself in health, wellness, inspiration, connection, and manifestation. Check out on November 8th at 12pm. 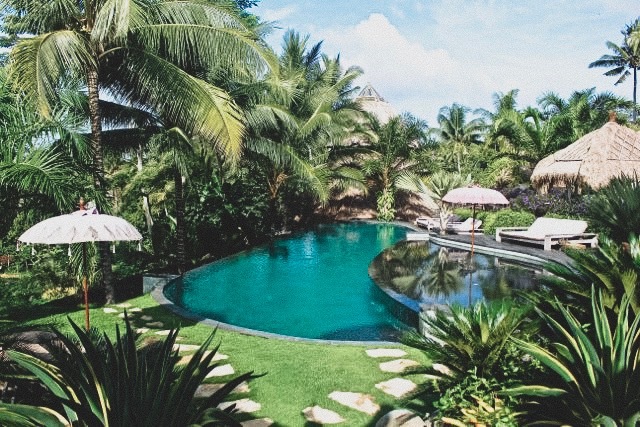 If you’re flying out later in the day, you can spend the last day exploring Ubud, or stay at the retreat center and have them hold your bags while you enjoy the pool and spa. We are here to help with any travel plans that you may need and we also have on-site experts and locals that are happy to assist you!